Do you fancy playing some fantastic tunes and making music with others? 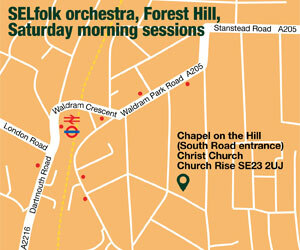 The South East London Folk Orchestra repertoire ranges from traditional English folk to tunes and songs from a little further afield (e.g. France, Sweden, USA). We welcome all players of acoustic instruments. Saturdays January 5th until July 6th 2019, excluding bank holiday weekends. Please email to check dates and venue if it's your first time! 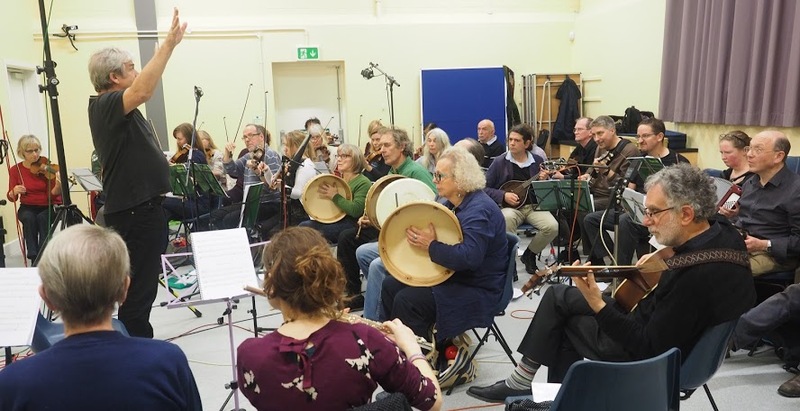 The SELfolk orchestra is led by Richard Jones. We sometimes have other guest tutors. For details please use our contact page or meet us one Saturday.